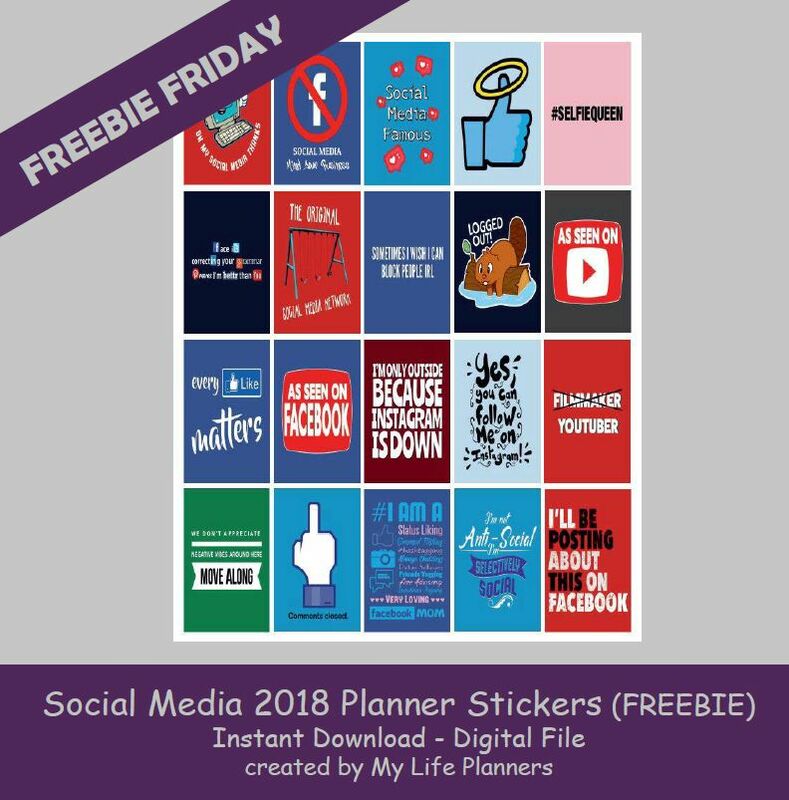 This week’s Freebie Friday feature is for Social Media. In looking into the history of social media, I have learned that “Six Degrees” is considered the first social media site similar to how we see them today. Created in 1997, “Six Degrees” included lists of friends and family. Social media is defined by websites and applications that enable users to share and create content. Another huge event for social media occurred in 2003 with the introduction to one of the first multi-faceted social media types called Myspace, allowing you to chat and make friends across the web. The last major social media of that era was “Facebook” which some people believe it is myspace 2.0, but was only available for students at Harvard University. Today there is so many different outlets for social media and it has come a long way from years ago. Many of us cannot imagine what it was like without Facebook, Instagram, Pinterest, Youtube, Twitter and Tumblr just to name a few. With this week’s feature you can add some social media to your planners for fun, humor, and/or for reminders.